I did it, finally. I started a shirt for my husband! I've had fabric and a pattern (Colette Negroni) for.ev.er. and now I'm actually working on it! I told myself I wanted to wait until I had my serger, so that my seams would look all nice and pretty. If I had bothered to read the directions in the pattern, I would have seen that all the seams are flat-felled or enclosed. 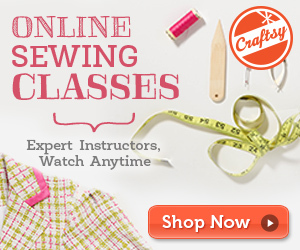 No serger needed. Whoops. 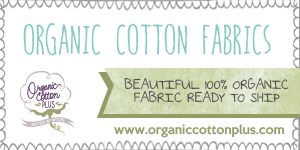 This week I'll be sharing my muslin process and the pattern adjustments I had to make for my husband. 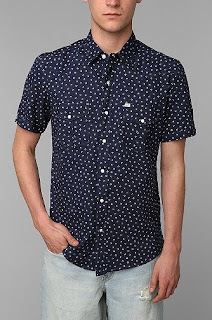 I've also been browsing men's button-up shirts and found a few that really inspired me! 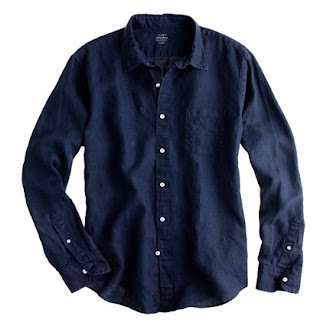 To start, you MUST click over to Colettire and look at their post of men's shirt inspiration. I love them all! I guess Urban Outfitters sells one-of-a-kind vintage clothing online? Who knew. 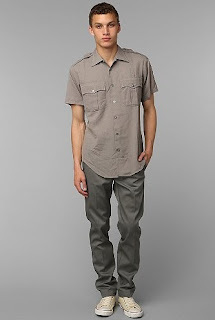 I love the shoulder tabs on this shirt and the pretty grey color. Also from UO (but not a vintage shirt) this one has a loop on the collar like the Negroni. There's no way my husband would wear a print like this, but I think it's fun! This "beach shirt" from Rag and Bone looks so soft I want to grab it through the screen! I particularly like the contrast color for the inside of the collar and the shape of the shirttail hem. 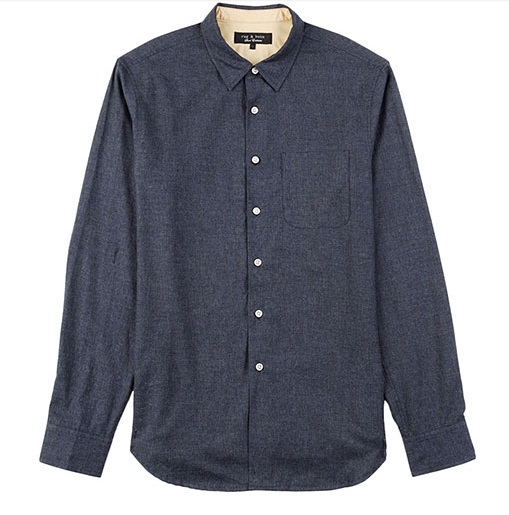 This linen shirt from J. 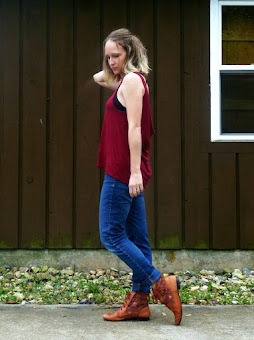 Crew is the most similar to how my Negroni will look, since I'm using a navy linen/rayon fabric. 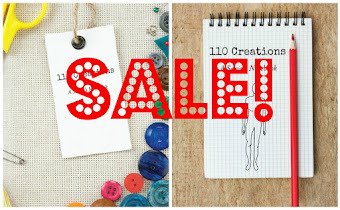 Today is the last day for Craftsy's Summer Sale! ALL classes have dropped their prices (sewing, knitting, quilting, jewelry, etc.). I watched a few lessons from Beginner Serging over the weekend, and I can't wait to try out the techniques I learned!